This release has been updated to correct confirmed speakers. 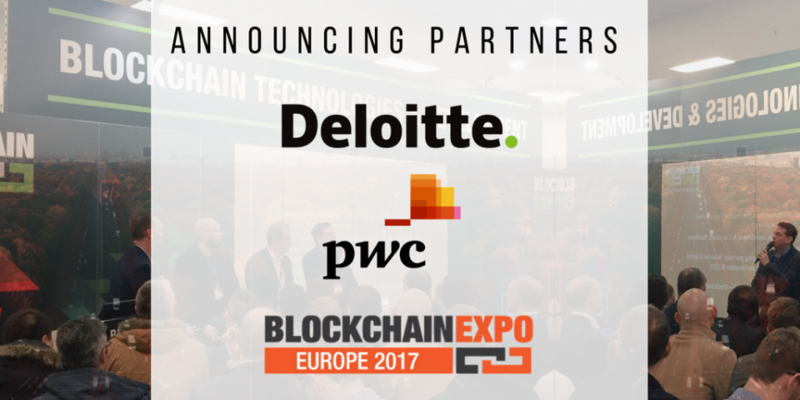 Blockchain Expo Europe is delighted to announce the addition of Deloitte and PwC to the line-up for the Berlin event on 1-2 June 2017. The event, which takes place at the Estrel Congress Center, will see Deloitte and PwC speaking on the Blockchain for Industry conference track. Deloitte has published several reports and articles on the rise and expected impact of blockchain, naming it as one of its eight tech trends for 2017 and noting that blockchain is “changing our digital landscape… it will change the way consumers interact with each other, and the way in which traditional digital services are provided across all industries globally,” while PwC has said it sees “enormous potential” for blockchain in financial services. The last Blockchain Expo, held in London in January this year, exceeded all expectations with in excess of 50 exhibitors and 1500 attendees, with speakers from Hitachi, Microsoft, HSBC, Innovate UK and Nordea Bank setting the precedent.